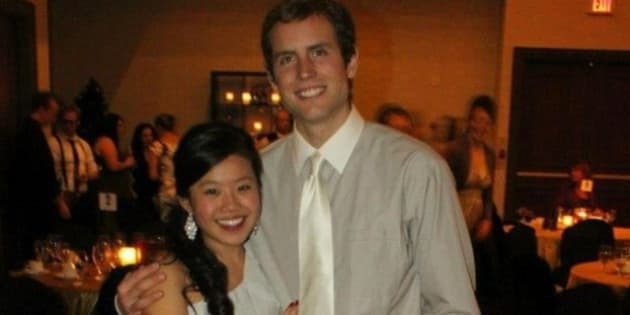 Police in New Zealand searching for missing Ottawa couple Connor Hayes and Joanna Lam believe they&apos;ve found Lam&apos;s body on a beach near where the fuel tank from their vehicle was recovered earlier this week. Police said in a news release that the body was discovered on a stretch of beach between Haast and Knights Point on the country&apos;s South Island at about 2:30 p.m. local time Friday. Formal identification has yet to be completed, but Lam&apos;s next of kin have been notified. Searchers have found no sign of Hayes. Lam, 24, and Hayes, 25, were last seen at Fox Glacier on the afternoon of Sept. 10, police have said. On Tuesday, officers found parts of their wrecked rental van in a gorge in a remote park on the South Island. They heightened their search Wednesday with a heat-seeking helicopter and a specialist search dog, in addition to a search and rescue boat. New Zealand police have said the van was likely swept away in fast-moving floodwaters, as the area where it was found experienced a bad storm more than a week ago. There have been a number of landslides at that mountain pass close to where the couple&apos;s vehicle was found. A friend told CBC News earlier this week Lam failed to show up at her new job as a medical imaging specialist for a radiology department in New Zealand on Monday. Tamara Sagadore said Lam and Hayes have been dating for almost two years after meeting and living together in Ottawa. Hayes, whose family is from the Toronto area, was said to be passionate about running. Lam grew up in Kingston, Ont., where her family still lives.